Fuel economy is a hot topic, and for good reason, when you consider your vehicle can burn through up to 30 per cent more fuel when you don’t maintain it properly. 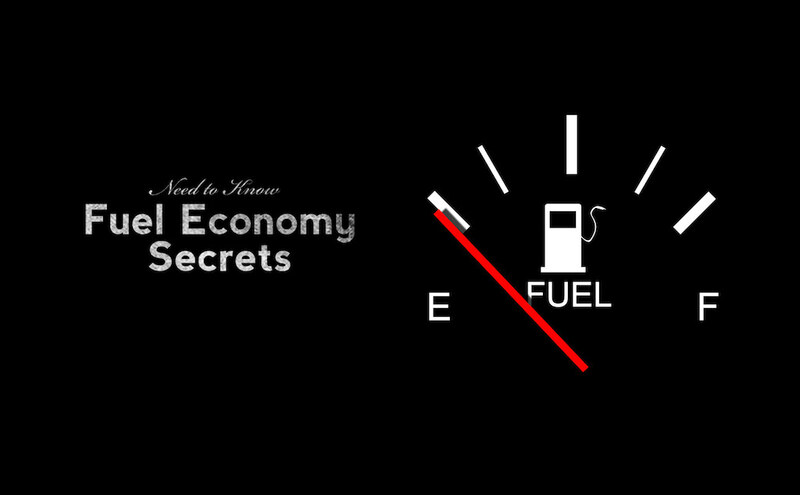 Here are 7 rarely mentioned tips that will help you increase your fuel economy, no matter what you are driving. When you follow these tips regularly, you will reduce your fuel consumption and extend the overall life of your vehicle and our planet. Clean your cables. Corroded battery cables tax the alternator, causing it to work less efficiently, which ultimately uses more gas. Checking the condition of your battery cables should be part of your routine maintenance. Change your air filter. Your car owners manual will have a recommendation for the frequency of when to change your vehicle’s air filter. Follow those guidelines, but remember to change your air filter more frequently if you drive in dusty conditions. Schedule a regular engine check-up. When you bring your vehicle to a mechanic for your regular oil change, you also get a complete inspection. Even when your vehicle has computer controlled fuel injection you will still have to replace spark plugs, oxygen sensors, and the air and fuel filters. Replacing the oxygen sensor will properly manage fuel delivery and result in a significant effect on fuel economy. You won’t get any insight on these components from a 5 minute oil change place, and they are vital bits of information. Driving in the highest gear appropriate for the road. This is interesting- driving at 60 km/h in third gear burns 25 per cent more fuel than you would in fifth gear. Traveling fast at low gears will consume up to 45 per cent more fuel than you actually need. The Ford Fusion Hybrid has a leafy graphic display that sprouts leaves each time you achieve a fuel economy milestone- making us wish more vehicle manufacturers made fuel economy fun. Use the right octane gas for your car. Refer to your owner’s manual to find out what octane your engine needs. Octane ratings correspond to the gasoline’s ability to resist engine knock. In fact, only about 6 per cent of cars sold require the more expensive premium gas, so ignore the promise of premium performance when it comes to investing in high octane fuel. Know your recommended grade of motor oil. Improve your gas mileage by one to two per cent by following manufacturer’s suggestions for motor oil. If you use 10W-30 motor oil in an engine designed to use 5W-30, your engine will burn one to two per cent more fuel simply trying to pump the thicker oil throughout your engine. Inspect your vehicle for misalignment. Hitting a pothole can knock a wheel out of alignment. This in turn affects your vehicles suspension and ultimately negatively impacts it’s steering. Bent wheels, axles, worn shocks, and broken springs can contribute to drivetrain drag. Any drag burns excess fuel, and limits your vehicles ability to perform safely and efficiently. These are just a few ideas to help get you started. We see many other issues that impede fuel economy in the shop on a daily basis, and this may become a regular post for us to keep you informed and help you tame your fuel consumption.